It’s a fun short film, even if it’s just a fun romp through some exploding sets, one-liners and sight gags. There’s not much in the way of commentary here, except maybe about Hollywood executives and the ever-increasing presence of apps in our lives. There is a funny bit about choosing talent for a dating app segment where LeGary swipes left and right on potential cast members like a real-live Tinder. The elevator full of Tim Cook-alikes is pretty funny, too, and everyone loves a good Goat Simulator joke. 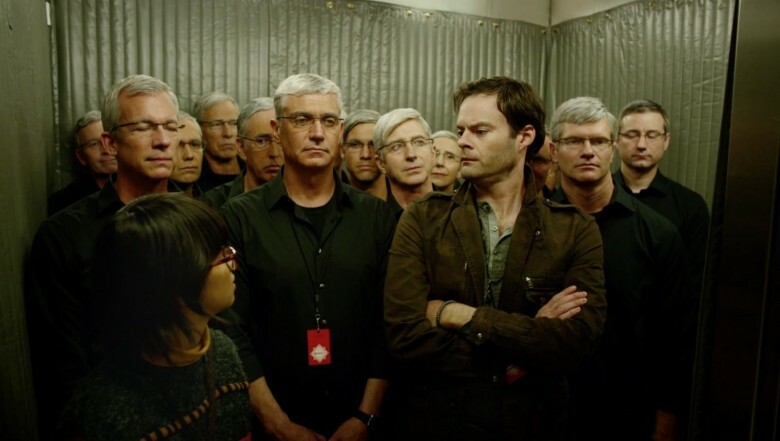 “No, don’t actually kill it,” says Hader when he decides not to include the cult goat game in the fake WWDC opening number. The best moment is when Community’s Danny Pudi sings a heavily AutoTuned song about his trials as an Apple developer, and the stage falls apart into exploding bits when the number gets massively overproduced. Why this played at the beginning of an Apple keynote, in front of a crowd of eager developers, we’ll probably never know. Maybe it just set a nice light tone for the next two hours-plus of software conversations. Either way, I’m just happy to see Pudi on something other than Yahoo! Screen.